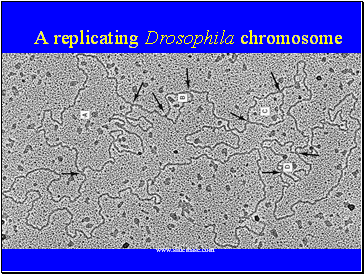 Largest Drosophila chromosome is 6.5 x 107 nucl., but it can replicate in 3-4 min. 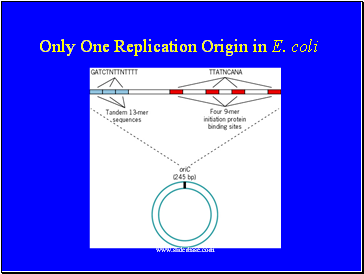 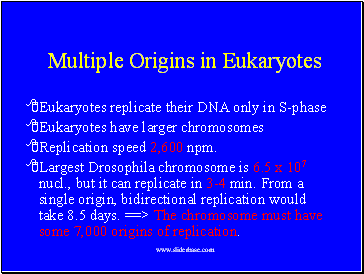 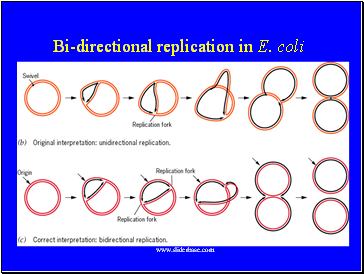 From a single origin, bidirectional replication would take 8.5 days. 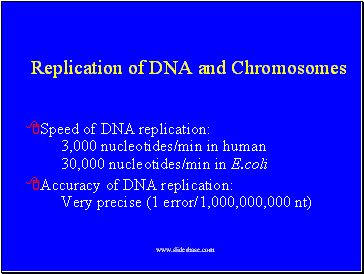 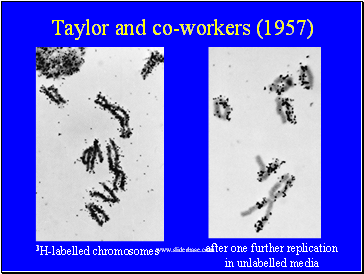 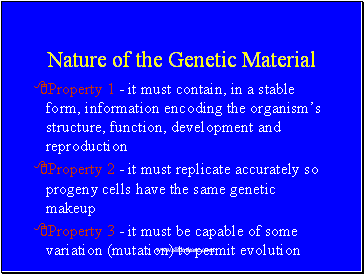 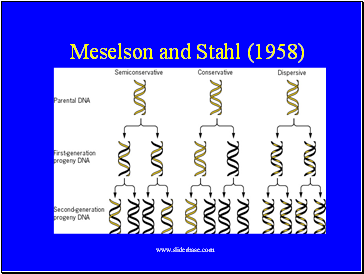 ==> The chromosome must have some 7,000 origins of replication. 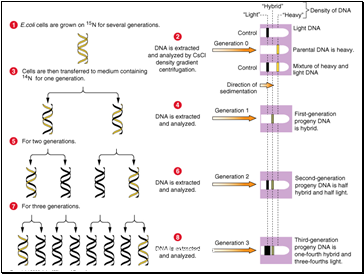 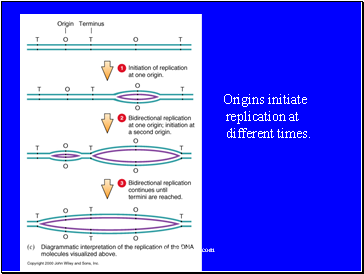 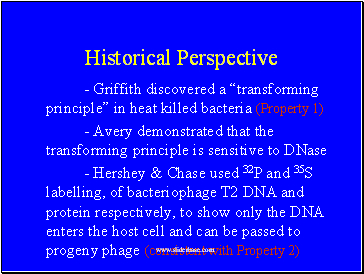 Origins initiate replication at different times. 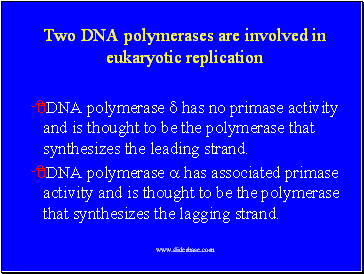 DNA polymerase d has no primase activity and is thought to be the polymerase that synthesizes the leading strand.